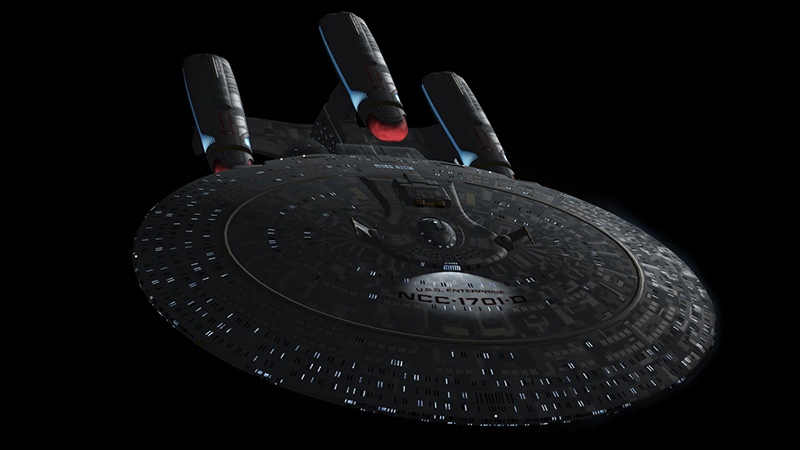 Notes: The Galaxy Refit class is a future Starfleet battleship from around the year 2400. 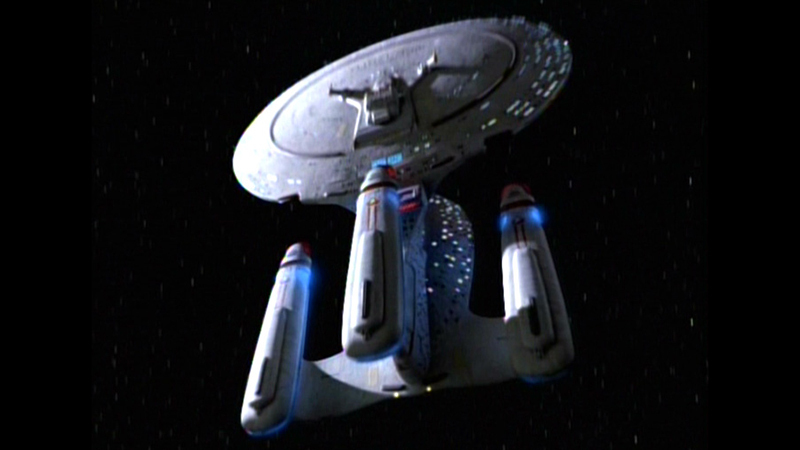 The aging Galaxy class ships were due to be retired as a ship of the line, but the Enterprise-D with its long service history was refitted with modern weaponry, defenses, and engines, at the behest of Admiral Riker. The Galaxy refit classes most prominent feature is the third nacelle on the secondary hull, this along with the improved engine designs allow the ship to reach speeds in excess of warp 13, or warp 9.993 on the mid 24th century scale. The Galaxy Refit class also features a heavy beam cannon on the underside of the saucer section, this cannon is capable of piercing enemy shields and hulls with one blast. Along with the main cannon, sixteen new phaser arrays have been installed on the ship. The class may also have other upgraded system though no information exists on them. The Galaxy Refit class is from a future timeline, no ships of this class currently exist.